Hi there! So glad you could join me for the first group post of the Papertrey Ink February Anniversary Countdown. 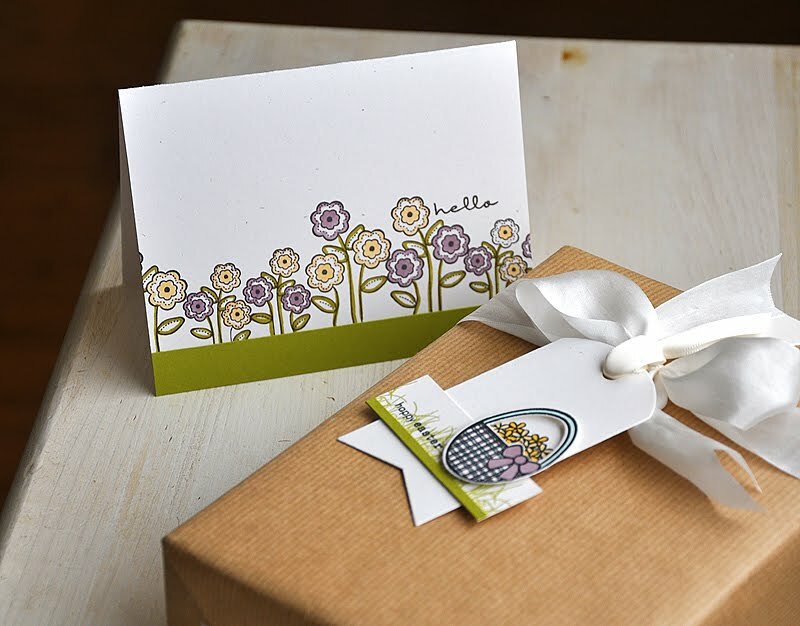 Today, the Design Team brings you two new stamp sets... Sweet Spring and Scrambled Eggs (both will be available February15th). These sets are perfect for spring! Are any of you ready for spring yet?! Honestly... I am not (gasp!). I'm still waiting for our first snowfall of the winter season. Instead of the regular winter weather, we've been enjoying our beautiful spring-like temperatures. Which has been very nice but it just feels like something is missing. Usually, by now, we would have had at least a couple good snowfalls. 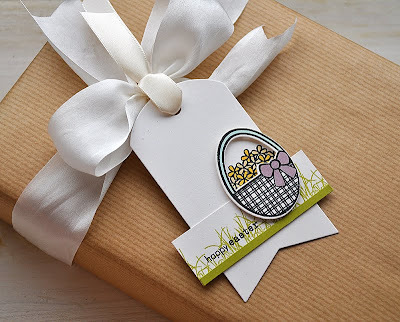 Two spring projects, perfect for the new season and the Easter holiday! 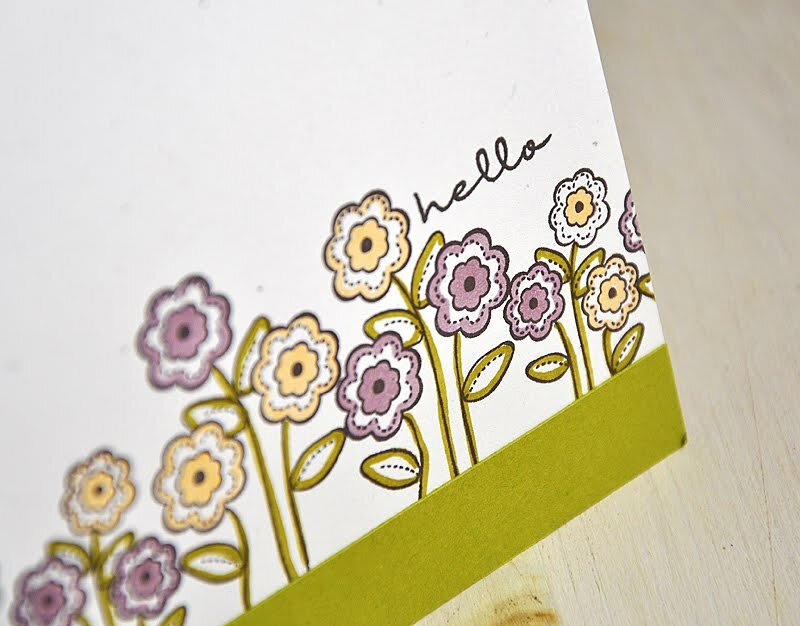 First up, a card with a bounty of adorable blossoms from the Sweet Spring stamp set. 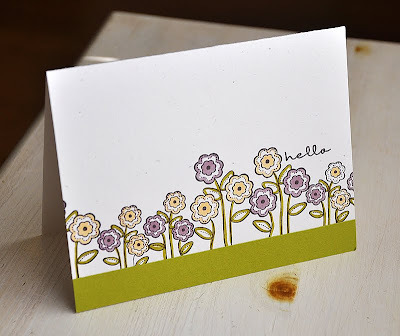 I started by stamping the two groupings of flowers (small and large) along the base of a Rustic White card base. Outlined the blossoms and flowers with Copic Markers, attached a Simply Chartreuse strip to the base and finished it off with a sentiment. 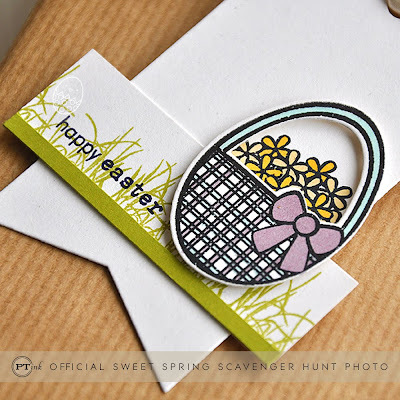 Next up, an Easter basket tag using the Scrambled Eggs stamp set. 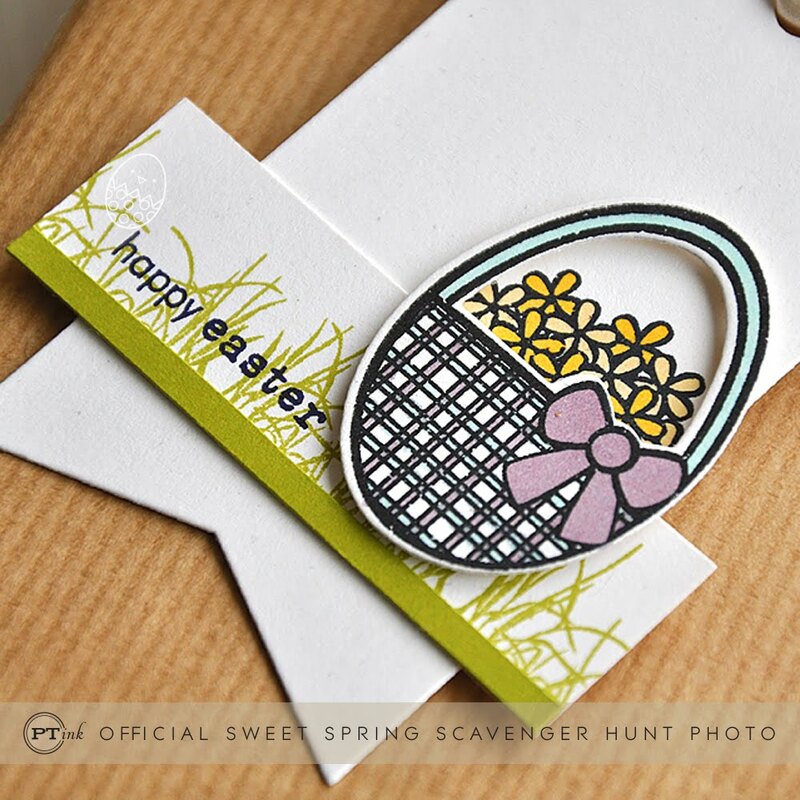 I began by die cutting a tag from Rustic Cream cardstock. Cut a cardstock strip, stamped with grass in Simply Chartreuse ink (used a flower stem images from the Garden Variety stamp set) and attached to the tag. 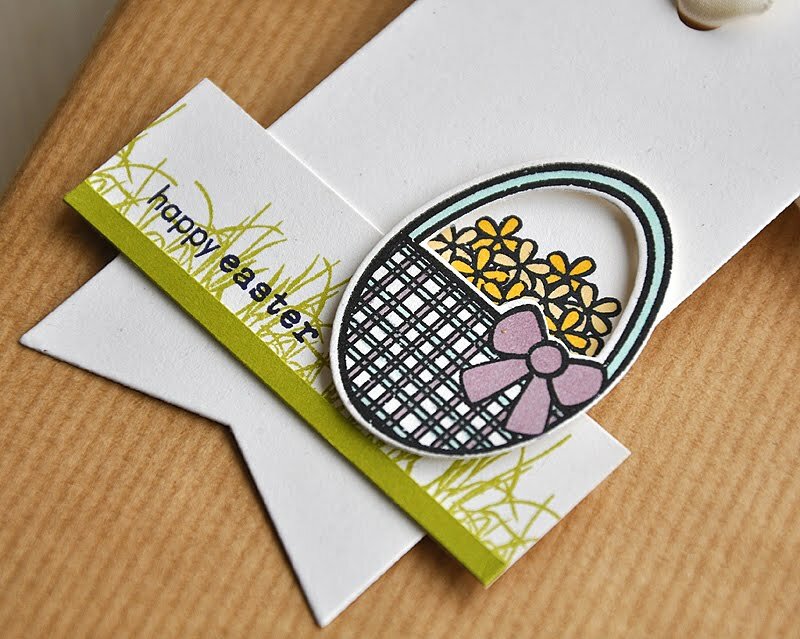 Then die cut, stamped and colored the Easter basket. Before attaching the basket with dimensional adhesive, I stamped the flowers directly onto the tag base and colored. Finished the tag off with a sentiment and ribbon. The card is so elegant. Love it. Your tag almost looks like an Easter cross! Look again! Love these! I really like that you colors your flowers very simply! Love the colors you used! OK, I think I say that on everyone's blog here, but you ladies really have a wonderful sense of color as well as design! It could just be that I'm in the mood for those wonderful colors of spring, too, with the cold weather we're having here...Anyway, thanks so much for making my morning more fun and colorful! Gorgeous work!! I love it all!! Your card and tag are beautiful, Maile! Love your use of bold color.